Enjoy the emotions, not the excess. Are you starting to get the holiday season itch? Doesn't it seem like the world is spinning more quickly than it used to? Believe it or not, there are only seven more Friday's left before Christmas. Seven! Regardless of where you're at in life - buying or selling a home, starting a new career, having a baby, retiring - the holidays can be completely overwhelming. Our culture (in general) has an "excess" mentality during the holidays. Excessive toys, presents, parties, eating, drinking, buying, spending, etc. My challenge to you this year is to create a calm around the holidays that brings you fulfillment, joy, and a sense of peace. Hygge (hue-guh), is a Danish word used when acknowledging a feeling or moment, whether alone or with friends, at home or out, ordinary or extraordinary as cozy, charming or special. 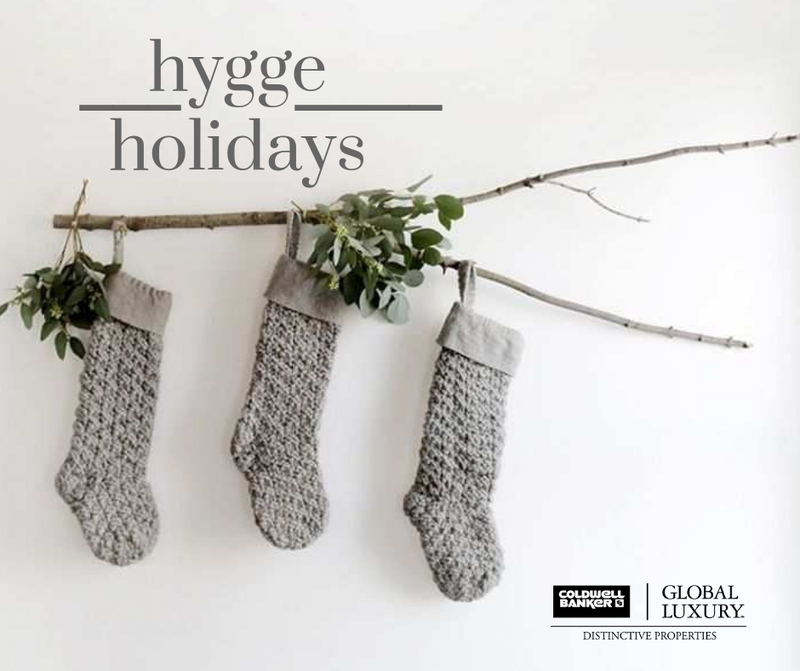 What would a Hygge inspired holiday season look like for you? Does cooking bring you joy? What about hosting loved ones? Then maybe your Hygge would be preparing a special meal around Christmas and inviting your closest friends and/or family to come eat and spend an evening together with no pressure or perfection, just time creating memories and sharing a meal. Do you love spending time watching movies or playing games with your children? Maybe your Hygge would come from a pajama party with your kiddos. Fire place crackling, candles burning, popcorn popping and snuggling in a pile of blankets. It's not just about being present either - it's about recognizing and truly enjoying the emotions being present awakens in you. I absolutely love giving gifts to people, however, the shopping during the holidays can become extremely stressful, the complete opposite of Hygge. I wouldn't say pushing a cart through Target for the 14th time in a six day period, sweating because the body heat from the crowds of people and yelling at my kids to stop hiding in the clothing racks is necessarily cozy or calming. So this year, our immediate family is foregoing the buying (with the exception of a gift from Santa) and we are going on a family vacation after Christmas to have an experience together that will bring memories to last a lifetime. Our Christmas morning will be spent snuggling, drinking hot cocoa, and listening to holiday tunes. I cannot think of anything more cozy and charming. I think the Danes are on to something. I mean, they are the happiest people in the world. Another facet of the holiday craziness is the holiday decorating. 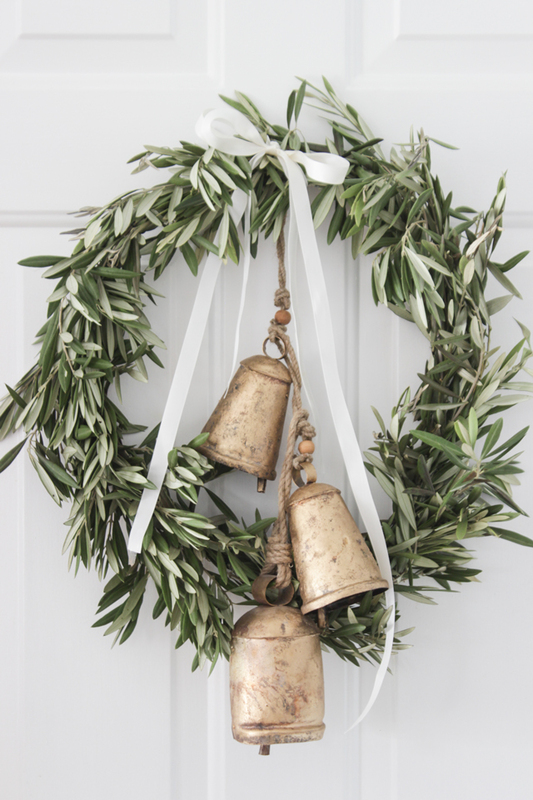 Are you hoarding ten tubs of Christmas decor in your garage? If it brings you joy to bring it out each year, then by all means, do it! 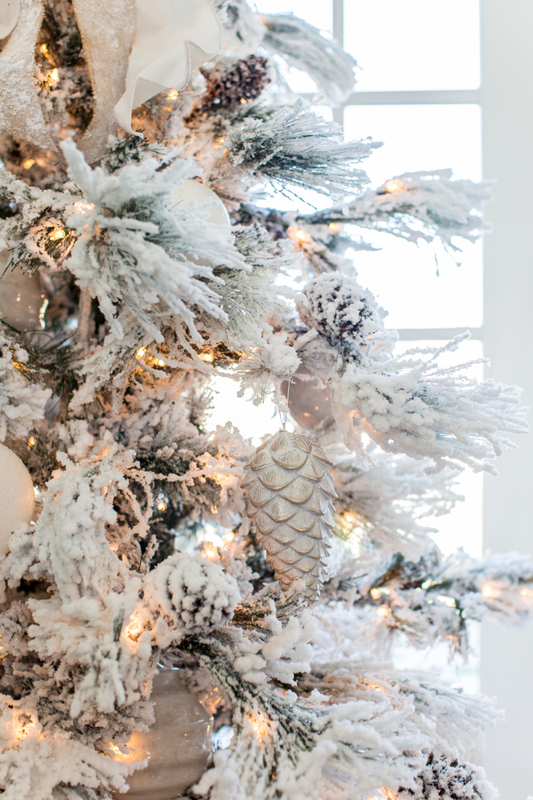 Stream that tinsel, bust out your faux Poinsettias and light it up! 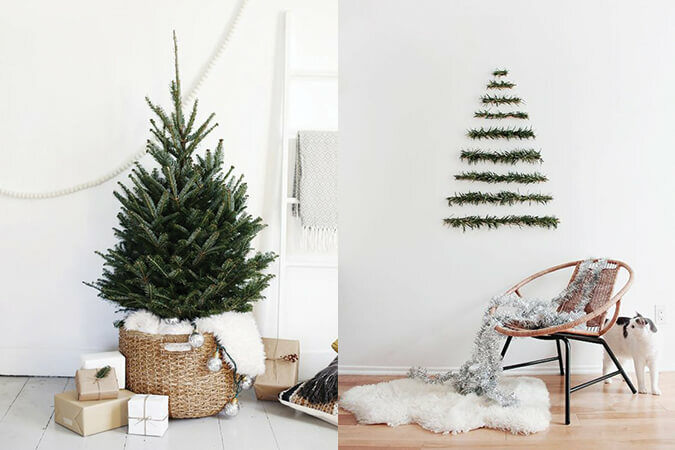 Though, if you want to try something a little more "Danish" this could be the holiday to try your hand at minimalist decorating. 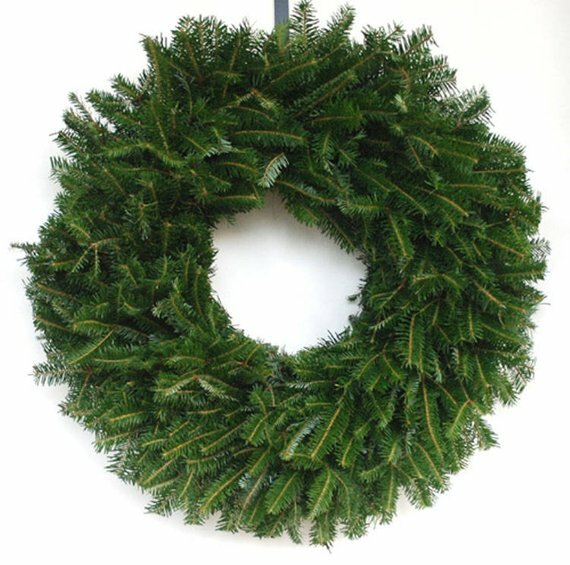 The last few years I have opted for a fresh holiday wreath. I usually pick one up at one of our local grocery stores. They are big, full, and smell wonderful. I think they are around $20 to boot! I don't add bows or lights, I just let them shine in all of their simple glory. One of my favorite things to decorate is our tree. I actually like to go with all neutral colors and organic textures. I even match my wrapping paper to my tree and home decor. 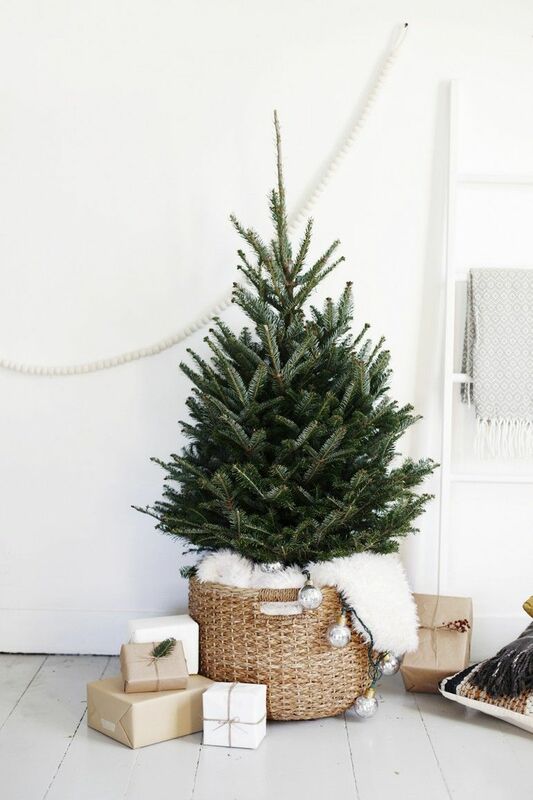 I usually snip sprigs off of our big Blue Spruce tree and tie them to the gifts to add another natural element. I like everything to be mellow and inviting, it makes me feel like my house is still my house - even if there is a 9 ft. tree in my living room. 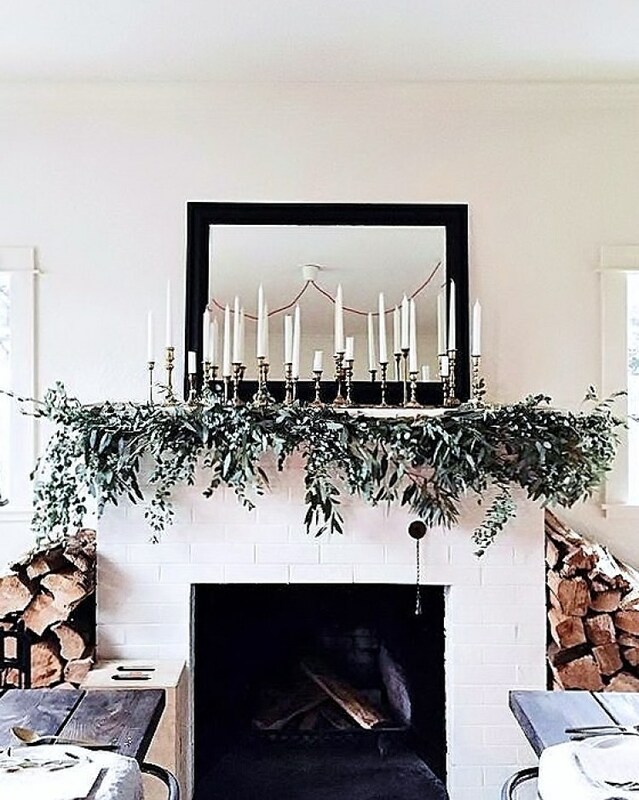 If you have a mantle to decorate, try a simple garland, pretty stockings and candles. I love, love, love the flickering of candles. I personally buy the white Luminara flameless candles (here) and use all sizes around the house. They look so realistic and set a beautiful ambiance. These are just a few ways you can scale back this year and focus on finding more peace. Christmas will be here and gone before we know it, so put intention into the things that bring you warmth and joy as you prepare for the season ahead. When you are content and fulfilled you have the capability to spread that contentment and joy to others.